The prairie dogs have to go. That’s the word from Frederick, Colorado. This small town of 9,000 people has passed an ordinance that requires home and property owners to remove prairie dogs from their land. “Removing” them basically means killing them. As part of the new relationship with prairie dogs, the city yesterday, March 5, launched its plan to kill two large colonies, and is bringing in an extermination company, Rocky Mountain Wildlife Services, to poison them. Home and property owners are encouraged to avail themselves of the services of this company. Residents who fail to comply with the rule can be fined up to $1,000. Prairie dogs are not only important for their own sakes; they are part of an intricate web of life in our grasslands. 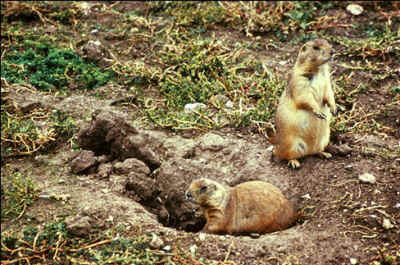 Nine different wildlife species depend on the existence and habitat of the prairie dogs for their own survival. Prairie dogs are a key component of grassland ecosystems. A large number of vertebrate and invertebrate species depend to a greater or lesser extent on prairie dogs for food or for shelter. The burrows that prairie dogs dig help water percolate into the ground, helping prairie plants obtain the nutrients that they need to grow and helping recharge underground aquifers. These animals have the most sophisticated animal language that has been decoded so far, and they have a complex social system that mirrors our own. 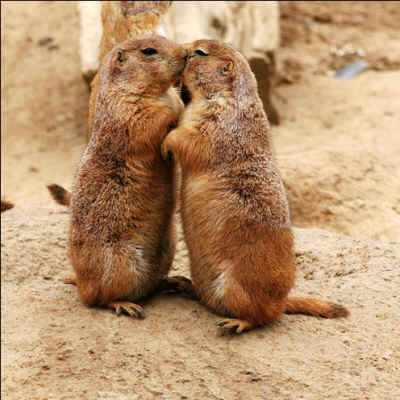 Like us, prairie dogs live in family groups and spend a considerable amount of time kissing each other. But due to human activity, they are rapidly disappearing everywhere. We are now down to about 2 percent of the prairie dog numbers that existed only a hundred years ago. If we can learn to live with prairie dogs instead of killing them, many animals and plants that depend on the activities of prairie dogs would benefit. Dr. Slobodchikoff also notes that prairie dogs have different alarm calls for humans, coyotes, domestic dogs, and red-tailed hawks, and they can describe the size and shape of an individual predator. He calls their way of communicating the most sophisticated nonhuman animal language system that has been described to date. Are these animals simply a “problem” that should be resolved by poisoning them? Is anyone who doesn’t want to kill them a scofflaw? Is this really how we want to relate to each other and to the animals who are our neighbors and a key part of our environment? Already, the prairie dogs of North America are heading toward extinction. What on Earth has happened to a town like Frederick that it can even conceive of such a way of treating them?